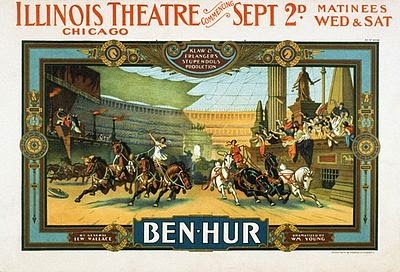 One of my favorite movies growing up was Ben Hur. I first saw it as a child at a drive-in movie theater from the back seat of a 1956 Chevy while on summer vacation with my family. What I didn’t learn until years later was that the author of that story was a fellow Hoosier, and, arguably, one of the most interesting men of the nineteenth century. Best known for his famous novel about the life of Christ, Wallace is said to have rather been known for his military career during the Mexican-American War and the Civil War. 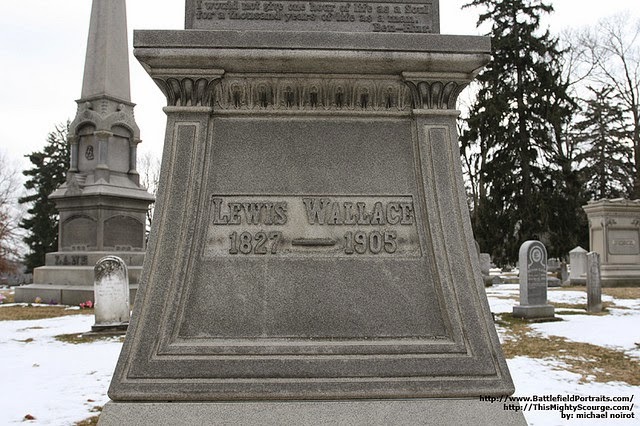 Born in 1827 in Brookville, Indiana—about 80 miles west of where I live—Lewis Wallace was the second of four sons born to David Wallace, a military man, lawyer, and politician. A graduate of West Point Military Academy, Lew’s father went on to serve in Indiana’s General Assembly, as the state’s lieutenant governor, governor, and then as a member of the U.S. Congress. From an early age, Lew’s life seemed set on a similar path as his father’s. At sixteen he left his formal education to make his own way in the world and joined a local militia. When he was nineteen, the Mexican War broke out and Lew established a recruiting office for the Marion Volunteers in Indianapolis. 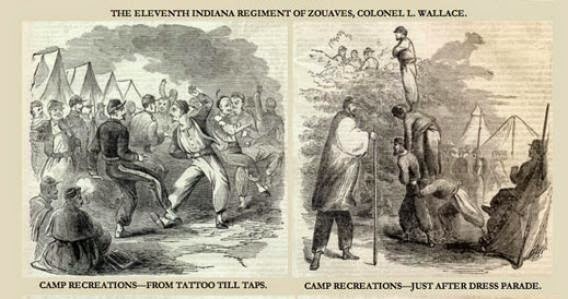 Though he never saw combat, Lew served under General Zachary Taylor and earned the rank of first lieutenant. 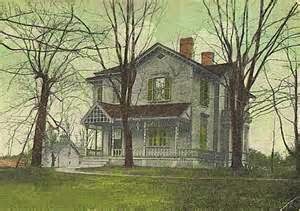 After the war he returned to Indiana and married Susan Arnold Elston, who later became an author in her own right. Lew began a career in the law and was elected prosecuting attorney of Indiana’s 1st congressional district, but the military remained a large part of his life. 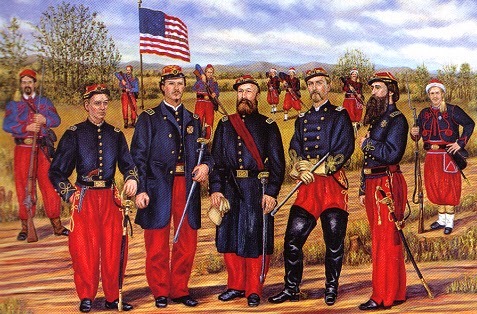 In 1860, with another war looming, he organized the Crawfordsville Guards Independent Militia and adopted for them the colorful Zouave uniform patterned after the uniform of the French Army in Algeria. 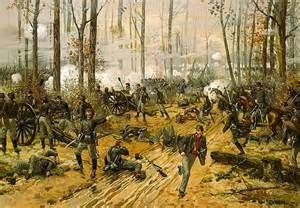 When the Civil War broke out, Wallace’s militia became the 11th Volunteer Infantry Regiment and was mustered into the Union Army with now Colonel Lew Wallace in command. During the war Wallace rose to the rank of Major General, winning acclaim in several battles including that of Fort Henry, Fort Donelson, and Monocacy. 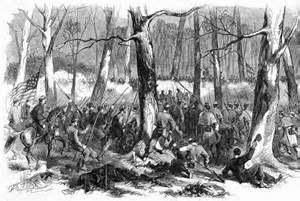 But sadly, Wallace became most noted for a costly blunder during the battle of Shiloh. Though he blamed the error on miscommunication, the stain it left on his military service was never fully expunged. 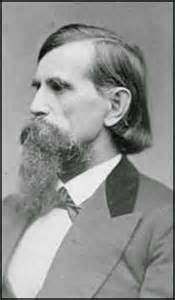 Near the end of the war, Wallace served in Texas near the Rio Grand and was involved in discussing proposals dealing with the surrender of the Confederate Army in the Southwest. He was also appointed to the military commissions that investigated the Lincoln assassination conspirators and Henry Wirz, commandant of Andersonville, the notorious Confederate prisoner-of-war camp. 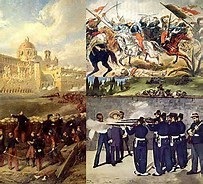 After the war, General Wallace even found time to run down to Mexico and help the Mexican army expel Maximilian’s French occupation forces. With that accomplished, Wallace returned to his law practice in Indiana, but the law held no appeal for him, so he turned to writing and, like his father before him, to politics. After two unsuccessful bids for a seat in Congress, he was appointed governor of the New Mexico Territory. 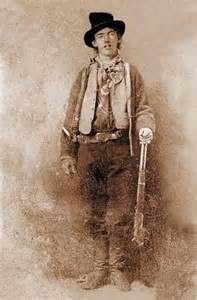 There he worked to end Apache raids on settlers and resolve the Lincoln County War, a violent range war, during which, he became acquainted with such historic figures as Billy the Kid and sheriff Pat Garrett, the man who eventually killed the young outlaw. 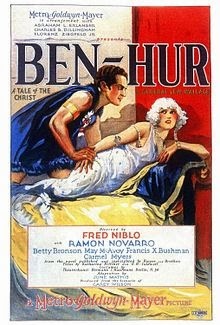 It was during Wallace’s time in the Palace of the Governors in Santa Fe that he completed his novel, Ben Hur. You might think that at this point Lew Wallace had accomplished enough to fill a couple of life times, but the general was not done yet. 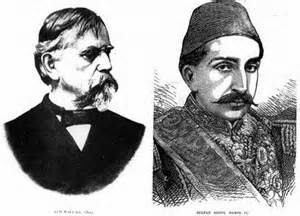 In 1881, at the age of 54, Wallace was appointed U.S. Minister to the Ottoman Empire in Constantinople, Turkey, a position he held until 1885. 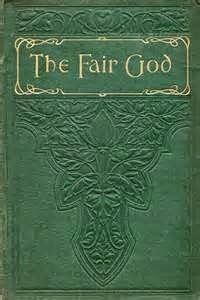 Wallace had dabbled in writing fiction from his teen years, having begun his first novel The Fair God at the age of seventeen. The work was not published until thirty years later. Indifferent to religion, Wallace generally believed in the “Christian conception of God.” It was an incident on a train ride to Indianapolis in 1876 that caused him to more closely examine his beliefs and subsequently led him to write Ben Hur: A Tale of the Christ. 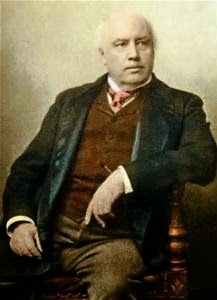 On the train he met Robert G. Ingersoll, a well-known agnostic lecturer. After a lengthy debate with the man about religious ideology, Wallace felt the need to fully research Christianity so as to clarify in his own mind, his beliefs. 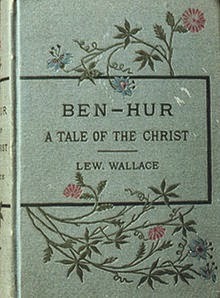 Four years later Ben Hur, one of ten books written by Wallace, was published by Harper & Brothers and is considered “the most influential Christian book of the nineteenth century.” The story has been dramatized in stage plays and several Hollywood movies including the best known; the 1959 adaptation starring Charlton Heston. To cap off his incredible life and accomplishments, Wallace patented several inventions, built a seven-story apartment building in Indianapolis, and drew up plans for a private study for his Crawfordsville, Indiana home. At the outbreak of the Spanish American War, when Wallace was seventy-one, he tried to enlist and offered his services to raise and lead a military force, but was rejected because of his age. 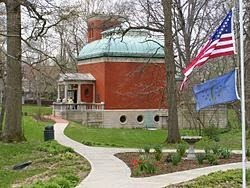 General Lew Wallace died February 15, 1905 at his home in Crawfordsville, Indiana, and is buried in Crawfordsville’s Oak Hill Cemetery. The state of Indiana commissioned a marble statue of Wallace in military uniform for the National Statuary Hall Collection in Washington D.C.
Statuary Hall, Washington D. C.
Many would consider a life that held a third of what Lew Wallace accomplished a life well lived. 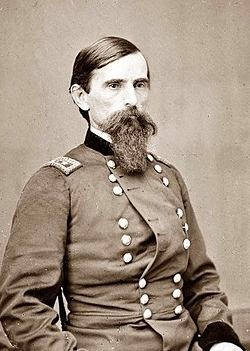 To my mind, the Dos Equis man has nothing on Indiana’s General Lew Wallace; definitely a most interesting man. 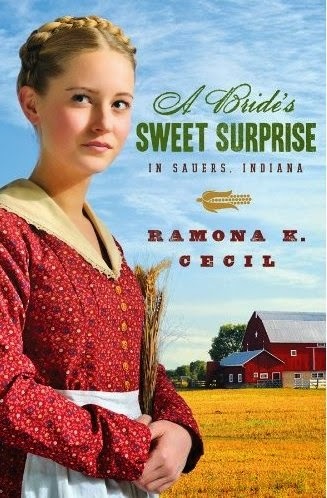 Ramona K. Cecil is a poet and award-winning author of historical fiction for the Christian market. A proud Hoosier, she often sets her stories in her home state of Indiana. What an interesting and informative post!!! Thank you for sharing! Thanks, Melanie! I didn't realize how much Wallace had done in his life until I began researching him. Great post on Wallace! I researched Winfield Scott Hancock, a contemporary of Lew Wallace, for my most recent Pennsylvania history educational workbook. After reading your post, I checked to see if they ever served in the same location. Interestingly, Hancock joined the Mexican War in July, 1847, after Wallace completed his service in June, the same year. The only other similarity in their careers that I could find occurred after the assassination of Lincoln. As you noted, Wallace served on the commission that investigated the incident. Hancock actually supervised the execution of the guilty parties a month after Wallace finished his duties. Ramona, Ben Hur was one of my favorite books and movies as I was growing up. Lew Wallace had quite a life. Wow! What a fascinating man. I'd heard of him, but had no idea what all he'd done and the many contributions he'd made to our country. Thank you for the post. 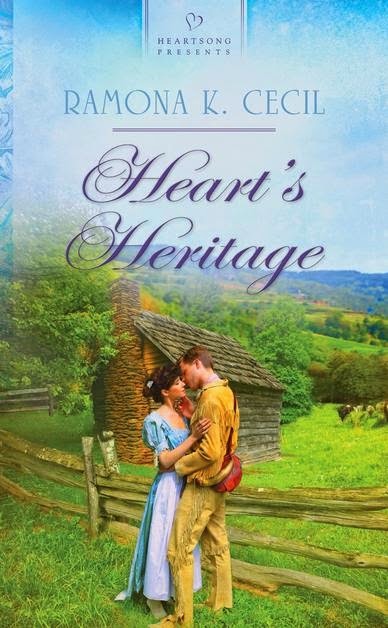 As a writer, I am interested in the lives of the authors who write the books we love, especially life-changing books that reach a wider audience through movies and television. And yet, I never thought to check the biography of Lew Wallace. Now, thanks to you, Ramona, I don't think I'll ever forget that one of my favourite movies of all time came about because of a simple theological discussion on a train. Hi, Anita! 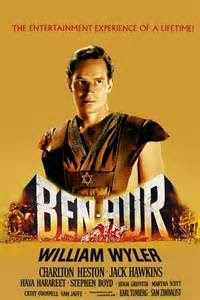 I was so interested to learn the backstory about Ben Hur and I'm glad that you and others found it interesting as well. I had once heard that Lew Wallace was an atheist and had planned to write the book to disprove the story of Christ, then became a Christian during the writing of the book. I was glad to get the correct history on this. I also didn't realize that Wallace had authored so many other books. Thanks for stopping by, and I'm glad you enjoyed the post. I'm pulling my copy of Ben Hur off the shelf and re-reading it! 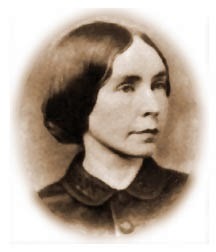 Ramona, I would love to chat with you about Lew Wallace's genealogy and his nephews, William N. and James P. I have been researching these nephews for about eight years; they each have a very interesting life! The link to your website doesn't work, so how do we connect?